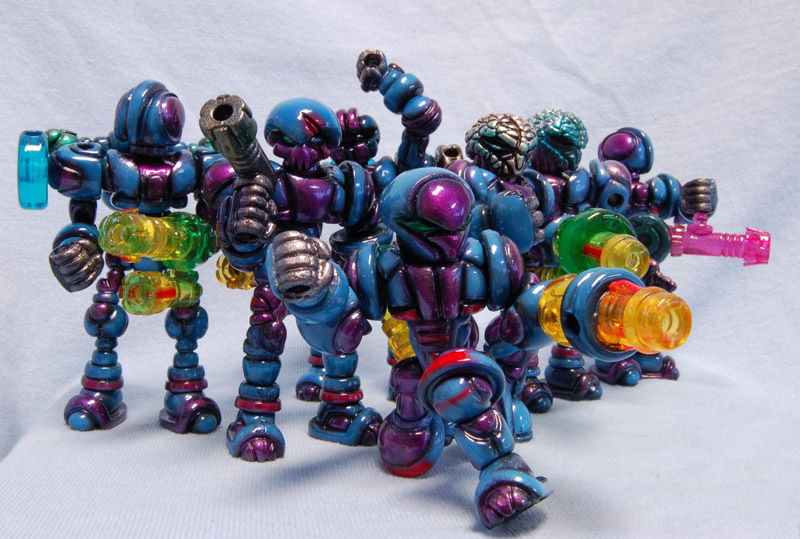 Ceekoar is one of the fringe worlds of the Glyos universe, known for its harsh gaseous environment. It is constantly under siege because deep under its cloudy exterior it was the site of many ferocious Old War battles, resulting in the inhospitable environment today. The survivors of Ceekoar were changed by the new environment and now dedicate themselves to keeping the Old War tech decaying on Ceekoar out of anyone’s hands. The Ceekoar are a little project I have been working on since the latest drop with its build-centric releases and Axis Joints. I am going to be posting full shots and info for one figure a day for the next two weeks, after which I will post the whole squad pics and release details. 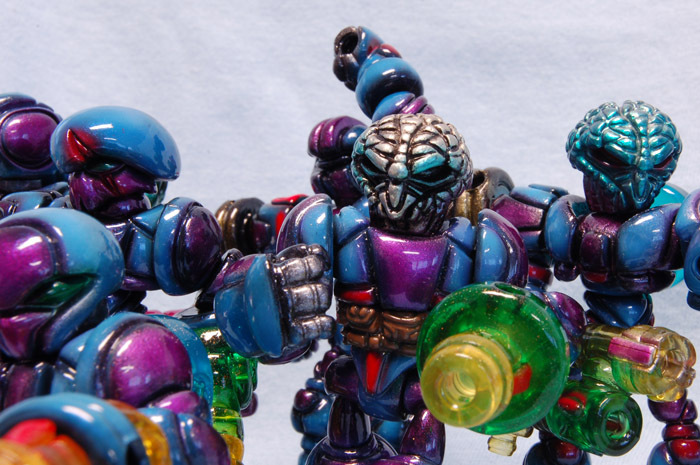 I can tell you that the Ceekoar will be a five figure release, and each figure is painted with Monster Kolor.